Ornge is a modern, vital, evolving organization that is dedicated to providing the highest quality transport medicine services to the province of Ontario. From air transport to the critical care land transport program, we provide a range of services to patients and hospitals across the province. We are looking for individuals who are dedicated and energetic and who are looking for a career with a dynamic, patient-focused organization. Ornge is committed to creating and promoting diversity, accessibility and inclusion in the workplace. Ornge Global Air is seeking PC12 EMS First Officers for our Northern Ontario bases. In Northern Ontario, Ornge Global Air has bases in Thunder Bay, Sioux Lookout and Timmins. Fixed Wing Pilots at Ornge are responsible for all aspects of aircraft operation of the Pilatus PC12 aircraft as well as the safety of the crew and all persons on board the aircraft. Fixed Wing Pilots must be able to fly in varying conditions, handle pressure well and be flexible and adaptable. Ornge aircraft are province wide resources and aviation personnel may be required to provide flight support at bases other than the home base where demand arises. All Ornge pilots are required to complete the company’s training program and have successfully passed a PPC/IFT check conducted by a Transport Canada Inspector or Approved Check Pilot. They are responsible for following all applicable policies and procedures and carrying out duties as assigned. 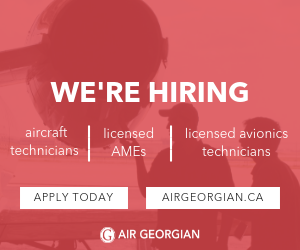 •	Valid Canadian passport or ability to work in Canada and ability to travel to the U.S.A.
•	Immunization records with required vaccinations is a requirement for this position. •	Employees may be required to use respiratory protective equipment. They shall co-operate in attaining an effective fit of the equipment and in particular, be clean shaven to ensure an effective facial seal to provide for the health and safety of all employees. Qualified candidates are invited to apply on-line at www.ornge.ca/careers. If you require a disability accommodation in order to participate in the recruitment process, please contact us and provide your contact information. A Human Resources Officer will contact you within 48 hours. Ornge is an inclusive employer. Accommodation is available under the Human Rights Code.